Who wish to win this set of Clinelle skin care? 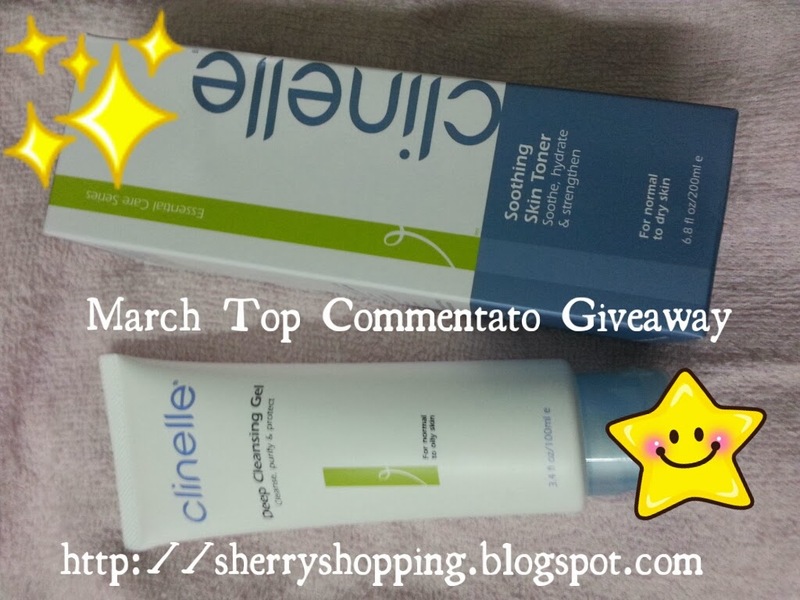 March Top Commentator of this blog will gets away with this Clinelle Deep Cleasing Gel and Clinelle Soothing Skin Toner. To take part this giveaway, you will need to be GFC follower and NetworkedBlog follower of this blog. You can scroll down right bar to be follower. Winner will need to have valid address in Malaysia for postage. March Top Commentator ends on 31 March 2014, midnight Malaysia time. You can start commenting past posts to gain more comments. you can win, if you are the Top Commentator on end of month. this is commenting contest, you will need to be top commentator by midnight to win.